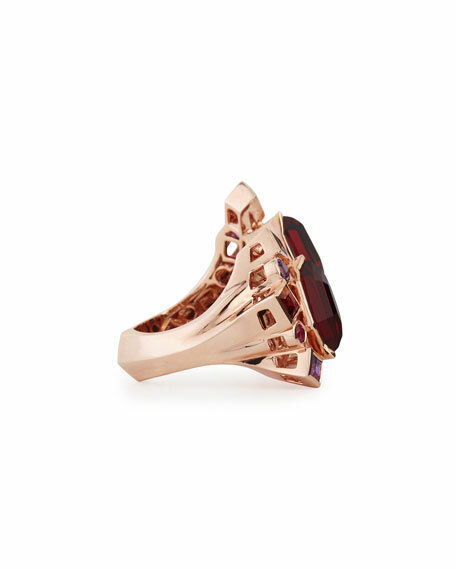 Stephen Webster ring from the Gold Struck Collection. Square red garnet, 1.13 total carat weight. Round bezel-set rubies, 0.34 total carat weight. Square and round amethysts, 0.61 total carat weight. 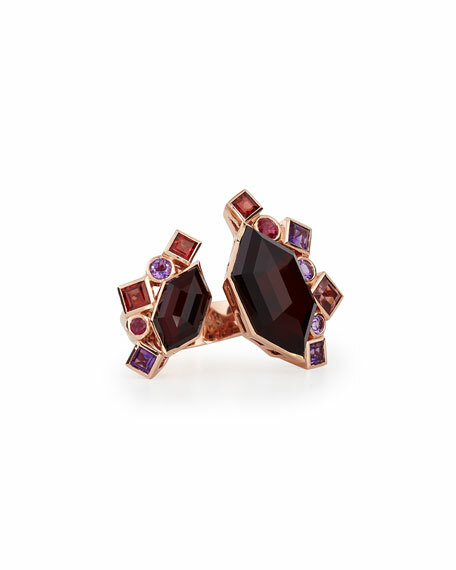 Faceted red garnet and hematite crystal haze doublets, 9.65 total carat weight. For in-store inquiries, use sku #1590988.